Why is turmeric so good for us? Looking at the wide-ranging literature (both clinical and not), turmeric seems to be anti just about anything bad: viruses, disease-causing bacteria, carcinogens – perhaps even vampires: who knows. Turmeric is also widely used to support digestive health and treat gastrointestinal complaints, such as IBS and colitis. This highly-pigmented root – that we typically use ground – tastes like a very peppery ginger (to which it is related). It is also what makes curries yellow. Many integrative cancer centers in the US and in Europe recommend turmeric use for those with certain types of cancers, most notably colorectal. 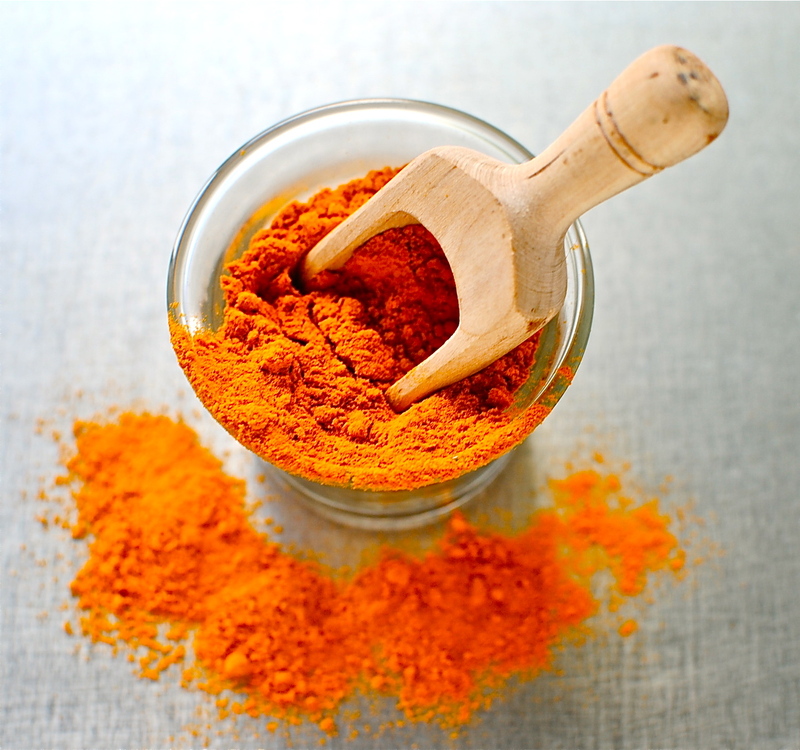 A small 2008 study of pancreatic cancer patients showed turmeric slowed tumour growth. Other studies also point towards effectiveness for a wide range of conditions. A recent small study of kidney transplant patients showed fewer rejections with the use of curcumin in combination with another antioxidant, quercetin, compared to placebo. It is also widely used in many countries to treat rheumatoid arthritis, with recent science finally ‘validating’ its impressive anti-inflammatory action. Here is a fantastic overview of the recent research, as is this one from Drugs.com. For a more detailed, clinical read click on this academic overview. Turmeric is not a miracle spice by any stretch of the imagination, especially because absorption is limited, but there are few potential side effects. If you have health issues, discuss turmeric with your doctor before embarking on using it beyond the culinary. Some people drink milks such as this one daily when colds and sore throats are zinging around, or if they are prone to/have a respiratory infection. It has many, many other purported uses (eg rheumatoid arthritis) and a few important cautions (eg those with gall bladder disease). Read this dispassionate summary from the always-reliable mskcc.org for more information. The research-indicated optimal ‘dose’ of culinary turmeric for daily consumption is between ¼ and ½ teaspoon – ideally heated with black pepper and some kind of oil (a curry a day!). To be honest I took it daily when I had a long-running lung infection last year (it seemed to be more helpful than the ruddy antibiotics!) but now only take it when I feel something coming on. And with back-to-school just around the corner I will make sure my supply is copious. I am one of those people who skips over the head cold and goes straight for the chest infection. And I know the idea of pepper in this sounds capital S strange, but it also helps us to ‘take up’ this useful and very pretty spice, and tastes absolutely fine in this sunny-hued milk. 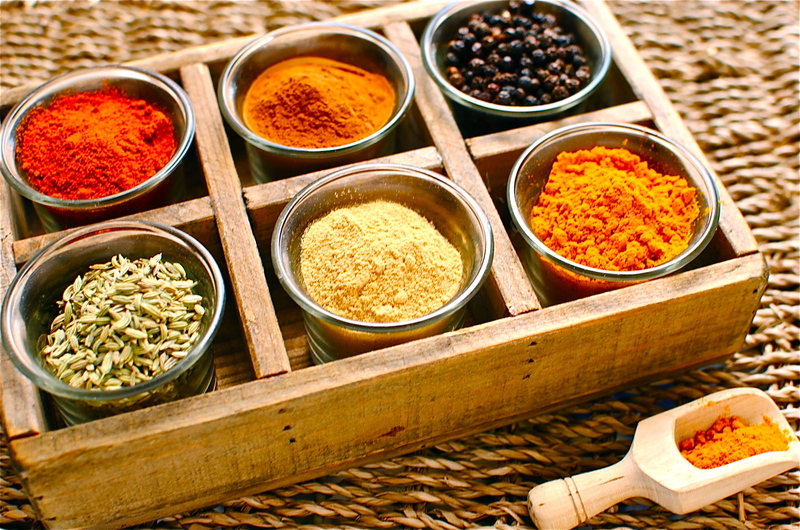 Studies have indicated that turmeric may be 1000 times better absorbed with the piperine in fresh black pepper. The potent combination of piperine, heat and oil will greatly enhance the absorbency enhance absorption even more. Disclaimer: This post and recipe is not intended to treat any illnesses, diagnosed or suspected. But, it is a delicious – and potentially helpful – drink in its own right. If you are interested in the therapeutic and preventive, as opposed to the purely culinary, benefits, please see the links in this post. There are loads of ways to use turmeric other than in curries. I’ve listed some recipes below, as well as links to other sites featuring tumeric-based recipe. For something quick and tasty I sometimes mix turmeric with best olive oil and salt and use it as a fabulously healthy and tasty dip or spread for good bread. What way do you like your turmeric? Do you use it as a remedy? If so, how? I would love to hear your suggestions and uses. Absolutely everything in this simple drink is good for us – the turmeric, the good local honey, cardamom, cinnamon, and pepper. Use whatever milk you like, but if using plant milks choose one that is fortified with calcium. To your health! Heat the milk slowly with the cardamom and cinnamon stick (if using), whisking in the turmeric, pepper, honey and coconut oil. Heat until steaming but not boiling. Strain off the cinnamon and cardamom and enjoy immediately. May be served cold too, but this isn’t recommended by those who practise Ayurvedic medicine – it’s all about the warm spices and warm milk. You can also prepare this in the microwave. Just a note, the ingredients are not soluble, and will settle in the bottom of your cup, so do give it a stir once while drinking or you’ll get a strong surge of turmeric at the last sip. A lovely substitute for your morning coffee. **animal studies show curcumin slows growth/spread of some tumours; human trials are underway, and very promising. …and other recipes too. Just type ‘turmeric’ into the search bar on the upper righthand side of this page. Thank you for this wonderful recipe! My yoga instructor eats tons of turmeric and recommends eating alot of it, but it is not always easy to integrate it to everyday meals! I don’t know how it could have taken me so long to make this wonderful recipe, after I had commented on it way back in August! I guess it is the winter, cold, wind… that made me crave something spiced and delicious. And I really LOVED this milk! I added a bit more honey for a sweeter touch, but otherwise just followed your instructions. Loved it, and will definitely be making it again! We are literally drinking it every day now that the weather is cold. It is our winter talisman against colds and chest infections. *knocks on wood* I’m glad you tried it. I hope it helps you too. We’re not boiling it. Just a gentle simmer. Are they any side affects or contra indications please? and is it best to take in the morning or evening? Very interesting! I have to admit my ignorance because I’ve always used turmeric pretty much as a food colouring, had no idea it’ got so many properties! I’m so glad I could tell you more about this amazing spice. Thank you so much for sharing this with us Kellie! I absolutely love turmeric (the “poor man’s” saffron) and put it many things, but it never occurred to me to drink it. Perfect timing too as I’ve been fighting a bout of the sniffles right now, and I’m like you – sniffles to chest infection in no time! Can you use cardamom powder instead of the pod? Absolutely. It is hard to get it powdered here in the UK (I bring it over from visits to the US) so that’s why I default to the pods. The only caveat is that it won’t be as potent. But in this recipe it is really about the turmeric, which is actually better dried and ground than grated from the root. Good question. This is beautiful. I’ve made a version of this with Greek yogurt and it’s like a milkshake. So good! This looks super interesting. In my studies with nutrition, I’ve only heard positive things about turmeric. This is a great recipe to actually ingest a good amount! I think I will give this a try! Can you make a larger batch and keep it in the fridge? I put it in pretty much anything and everything. I am a bit weird that way. Not always at levels that matter but it is one of the better habits I have! That looks delicious and tumeric is such a wonderful spice! I’ve got to try this recipe. What a lovely golden hue milk and so good for you! I’m a huge fan of turmeric and I always recommend my clients use it daily if possible for its incredible anti-inflammatory properties. I can’t wait to try out this milk this week-looks perfect for after dinner! Hadn’t thought of it as an after-dinner drink, but it would make a nice digestif, for sure. Great idea Laura. Thanks! 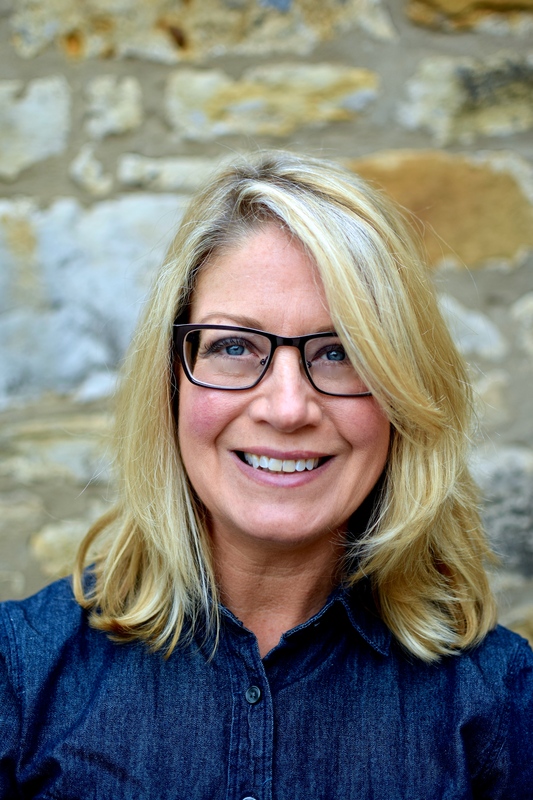 Kellie, every post you present is a new adventure in interesting things….. I am going to try this for sure… perhaps it will help my newly acquired hiatus hernia (which seems to be settling). Great post! Thank you… I am sharing this far and wide! Thanks so much Liz. Not so sure it will help with a hiatus hernia (ouch – my mum suffered from that) but it certainly wouldn’t harm. It may help to boost your immunity at the very least – and don’t we all need that! Well, I certainly do!!! Thanks again, definitely going to try it… I have picked up another bug, only weeks after recovery from glandular fever and pneumonia… anything to help my immune system. Thanks again for sharing this. Great pictures. My family is from India. My Doctor cousin swears by turmeric milk for colds. Nice post. Cheers. I am glad to hear turmeric milk has a physician’s seal of approval. It really is marvellous stuff. oh my word that looks amazing (love the bee cup too). I’m holding back from dashing straight to the kitchen to make some since it’s an appetite stimulant and it’s close to bedtime. Oh to heck with it, you only live once! I love the slightly earthy taste of turmeric, and the title of this post is delicious on its own….then we get the wonderful colour infused photos and the cute bee cup…this post just keeps getting better 🙂 we use the freshly ground root sometimes in cooking, so it’s interesting that you say dried is better…it certainly saves some work! I just love the gorgeous golden glow of turmeric! Believe it or not, it’s a wee bit chilly here right now & a hot steaming mug of turmeric milk sounds fabulous 🙂 Great post sharing all the potential health benefits of turmeric Kellie! Oh wow this sounds sooooo good. I’m just now limiting coffee to the weekends so I think this would be a nice morning beverage replacement for me. Just found your site on Pinterest – yay! Hi Sarah! Thanks for finding me on Pinterest. I really must get more active there because it is full of nice people leaving lovely comments ;D And yes, turmeric milk is a great mild ‘jolt’ in the morning for those of us who limit coffee (I can’t have any caffeine ). It’ll definitely wake you up ! Thanks for dropping by and taking the time to comment. Hello! This stuff is awesome! I actually have a auto immune inflammation issue so I am trying to see if this helps. So it is better to drink it in the morning? I read people like it at night as it is calming so I tried it and it did get me a lil restlessness so maybe that is why? If it revs you up then definitely take it earlier in the day. Some people find it calming but others find it too stimulating to have at night. I personally find it better in the morning whereas my husband drinks it at night. Go figure! I had no idea tumeric has such healthful properties and I’m very curious about the flavor of this spiced milk. Tumeric isn’t a spice a use frequently, but with the other spices and the sweetness of the honey, it sounds tasty! Excellent post Kellie. We use turmeric in our Gujarati cooking every day but I didn’t know about the coconut oil and pepper for absorbtion. I guess my foremothers nust have known this because we also use those in our food daily. My mother used to give me a variation of your milk recipe for a sore throat. Mix turmeric and honey to a paste and then add warm milk. I used to hold my nose and down it in one! the paste is also used to treat cuts, grazes and burns because it”s naturally antispectic. Indeed if I cut myself in the kitchen the first thing I do is rub turmeric over it! It has so many uses, which is really quite amazing for something that most people only associate with curries. I had the start of a cold (sneezing lots and a bit of a tickly throat) one evening last week. 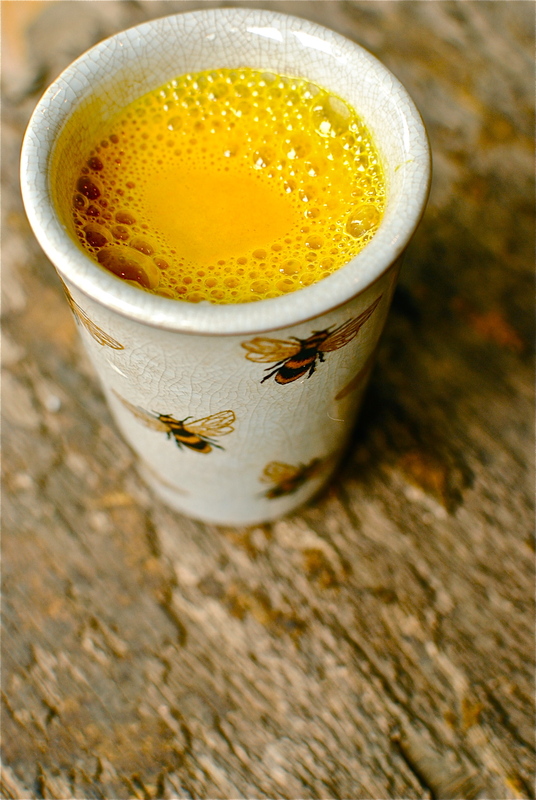 I had the turmeric milk for only one day (2 x) and hey presto – no cold! I wish Western medicine was as delicious! Very relevant to my recent Curcuma blog post! Kelly, thanks for this post! I’ve been trying to incorporate more tumeric into my diet for its anti-inflammatory properties and this milk is going to help quite a bit! Saw it over at Made with Love Mondays and just had to check it out. Fantastic! I love participating in Mark’s Made With Love Mondays. There is always such a cross-section of recipes that even something like this can fit in. Amongst all of the beautifully-shot cakes! 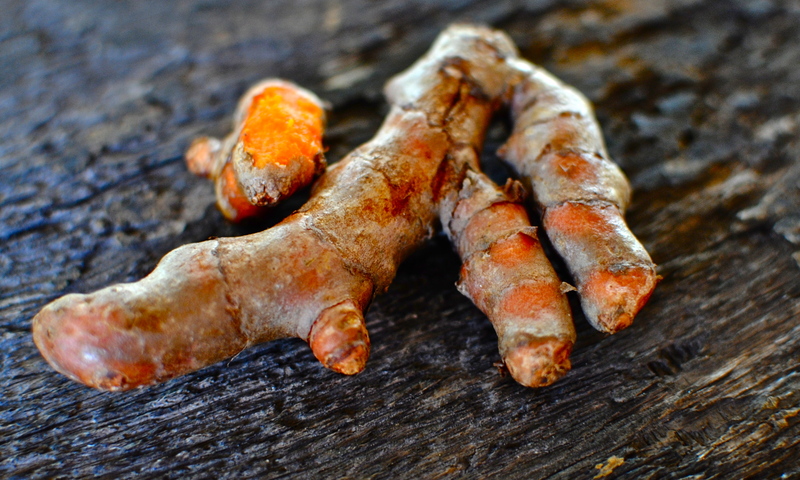 Do you find that turmeric helps, or are you just starting out with it? Kellie – This is a lovely drink. I filed it away not expecting to turn to it for another month or so, but the weather has cooled off quite a bit and it’s been cloudy and raining. That coupled with getting less sleep than usual recently made me feel like I needed an extra boost I knew this drink would provide. And it sure hit the spot. Beautifully done! Hi, I grew up in south india and my grand parents used to give me house hold ayurvedic medication all the time. This looks like great recipie, but i have 1 suggestion please. i see you have mentioned “hot or cold” but ayurveda always suggests milk is taken hot/warm and never cold. Thanks for sharing this recipie. Made it this afternoon, delicious! The turmeric (which I cooked into a paste beforehand with water, pepper and some coconut oil) is surprisingly not overwhelming or savoury, which was my fear. Since I have to avoid dairy, I had it with almond milk and honey, I have a new drink! I’m glad it suits you! As for the turmeric, to be honest the dried, ground spice appears to be more nutritious. Drying concentrates the curcumin, with the fat and black pepper making it more readily absorbed by the body. But grated fresh would be fine but not sure of equivalent amount regarding curcumin content. That’s useful to know as I definitely want it for the health benefits, plus dried and ground is cheaper than the fresh rhizomes, which suits me! Thanks. Good stuff. Glad to help. Hey Thanks.. I am having throat infection and doctor have advised me to drink turmeric milk without sugar.. I find it yuks.. but now I am going to try your recipe.. This seems tasty.. Thanks for this recipe.. I don’t tend to drink it in the summer but come autumn it is in my daily routine. Seems to work for me in keeping bugs away! It is also a nice alternative to my daily decaf culpa 🙂 Thanks for letting me know that you tried it. 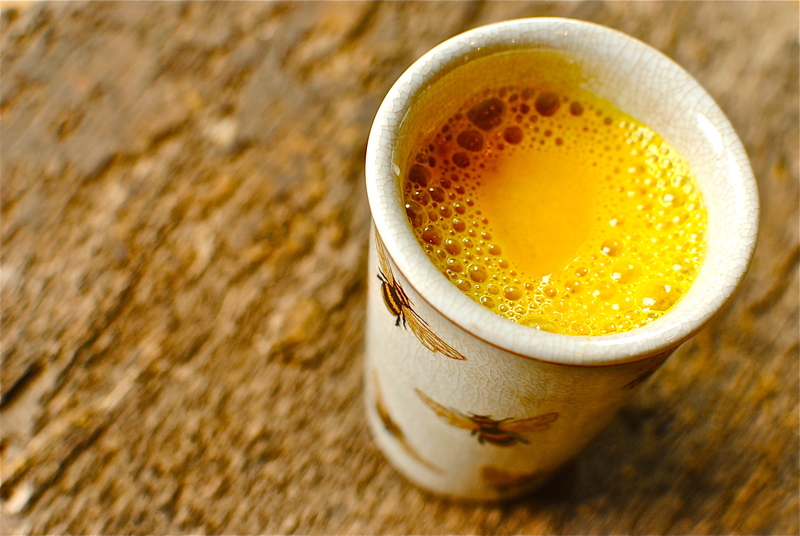 Here is an amazing Spiced Golden Turmeric Milk recipe from Food To Glow. The benefits of Turmeric are many. What I love about it is it reduces inflammation! What fantastic information and recipe. I’ve been using Tumeric for some time but wouldn’t have thought of putting it in milk. Curcumin supplements shouldn’t be used medicinally as they have an anti-coagulating effect. INR levels also known to spike with turmeric (the food form of curcumin) taken in quantity. I would check with your doctor as to how much you can safely have. Great article… I plan to try it for inflammatory processes. I really do wonder though…. you do not recommend cooking the turmeric for at least 8 minutes first! The Recipe is so delicious and tasty. I have tried many such similar recipes but none have worked so great for me. Thanks a lot for those detailed and step by step instructions that made it easier to get the job done in no time. I love almond milk and I am greatly fascinated by its health benefits around us. Here I also have some info regarding almond milk that will be a great value to all its readers. I swear by this super spice. At the moment, its is winter in Australia, everyones catching some sort of cold, flu-like symptoms are everywhere. More than 3 months ago, in my attempt to cut-off soda and sugary drinks in my diet, I started drinking a tea made of lemon, lemon zest, ginger, honey, mixed with different spices such as cloves, cardamon, nutmeg, cinnamon and spiked with cayenne pepper, and pepper when i putturmeric powder, plus apple cider vinegar. That was my soldier on drink, I swear, i may get a cold or flu like symptom but my condition improves very quickly and never develops into a full blown cough, colds and flu. I wouldnt have survived this cold season without this drink which I always take before I sleep and after I wake up. Now, I am adding this turmeric milk to my daily drink and the recipe was very great, I add vanilla bean too for flavour. Is this drink ok to drink for people who have crohns and colitis ? Thank you for this delicious recipe. On day 4 and still looking forward to it each morning. I had a colon resection last year (cancer completely removed) and just had three new polyps removed earlier this month. Wanted to be more proactive on a daily basis. I think this fits the bill. Can this be made in larger quantities, stored in fridge and warmed by the cup as needed? Good question. It should be fine, as long as you give it the long simmer to activate. My mom used to make me turmeric milk all the time when I was young. This recipe sounds great and the pics look really nice. I’m definitely going to be trying it out soon. I’ve been drinking this for about a week now- and not only is it delicious – it has helped me sleep well- falling asleep and staying asleep. (Sometimes I sub maple syrup for honey -and add spice blends like Chinese five spice and Pumkin pie spice mix) thanks! Hi Tim. You can keep it and re-warm as needed. The warming makes it more absorbable by the body. Enjoy!! Love this milk. Had cured my stomach problems I’ve had for months from an antibiotic that gave me IBS symptoms. Thanks for sharing. Thank you for sharing Such a magical healthy drink recipe, its so easy,tasty& full of flavors!!! Thank you for sharing such a wonderful recipe that is not only tasty but also wholesome for our body & mind. its so much easy to make, looks so delicious. I liked it so much! almond milk is a fail. find a local dairy farm that pastures their cows and use real milk – not the grocery store garbage. also, cancer is primarily an environmental disease. mitigate your environment, food/water and exercise to go with the seasons and the old ways and you’ll prevent it from occurring. I agree with Jim. Turmeric milk has traditionally been made with “real” milk—-cow’s milk. Why change the time honoured recipe? I do not think absorption of Curcumin is necessary for the “anti-inflammatory” properties of Turmeric. When you cook Turmeric with Milk, a reaction takes place between the milk proteins and Polyphenols (Tannins) in the Turmeric. The result is a complex of Polyphenol (Curcumin) with Milk proteins. This complex has “mucoprotective” properties . When you drink the Golden milk, the complex “coats” the mucosa of the Gastrointestinal tract and acts in a similar fashion to a plaster on your skin. Any damage to the epithelial barrier is healed faster due to the coating. This enhancing of the intestinal barrier prevents entry of Antigens , Bacterial products and Bacteria into the underlying tissue which would activate the immune system and result in inflammation. This would be the ancient cure for “leaky Gut syndrome” and the diseases caused by entry of antigens into the bloodstream. This may be the reason why Turmeric is famous as a “cure” for so many inflammatory conditions. I love the cup with the bees! Is it something I could find in a store or online? Thanks! Sorry but it’s quite old. But I’m glad you like it. Thought so! But thank you for letting me know. I USED TO DRINK GOLDEN MILK, BUT I STOPPED . MY DOCTOR TOLD ME I HAVE A KIDNEYS STAGE 3 AND TURMERIC HAS A LOT OF POTASSIUM THAT CAN AFFECT MY KIDNEYS. WHEN I USE TO TAKE GOLDEN MILK I FEEL VERY WELL AND ENERGETIC, I AM THINKING IN START TAKEN THE GOLDEN MIL FOR A FEW MORE WEEKS TO SEE WHAT EFFECT I HAVE WITH MY KIDNEYS. CAN YOU GIVE ME ANY ADVISE ON THE MATTER?